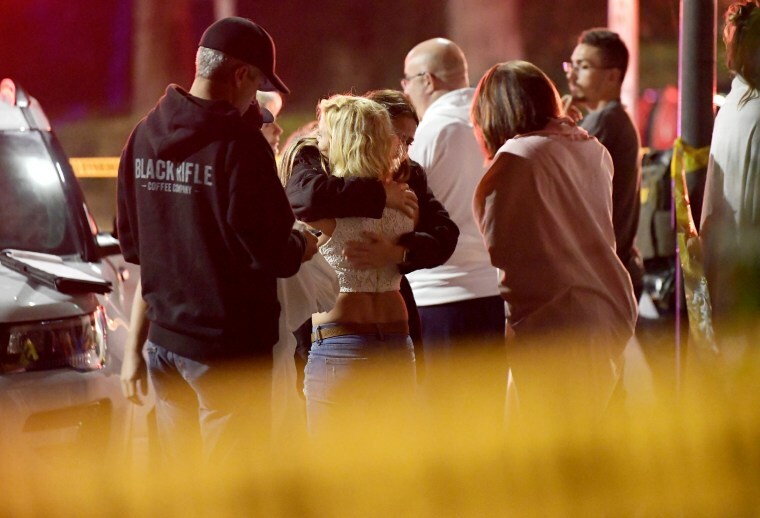 Twelve people including a police officer were killed by a gunman at the Borderline Bar and Grill in Thousand Oaks, California. 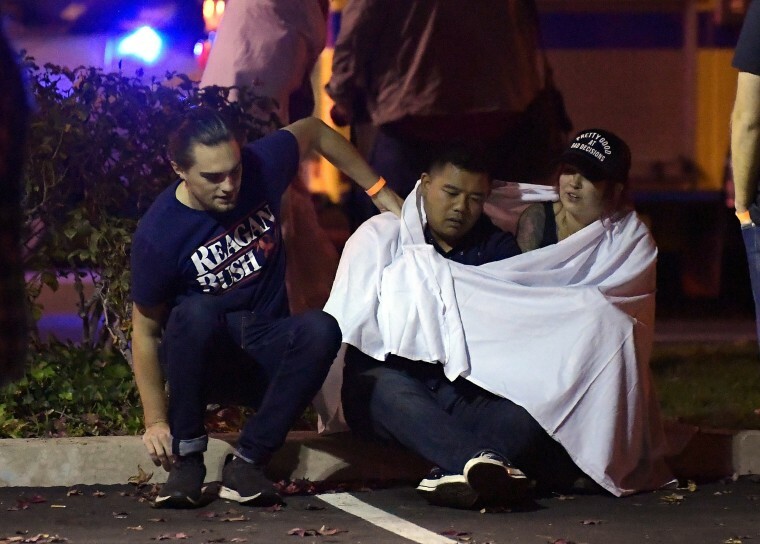 Police guard the site of a shooting at the Borderline Bar and Grill in Thousand Oaks, California, on Nov. 8. Several hundred people were inside the venue, which was hosting a "college country night" for students, police said. People comfort each other outside the bar. 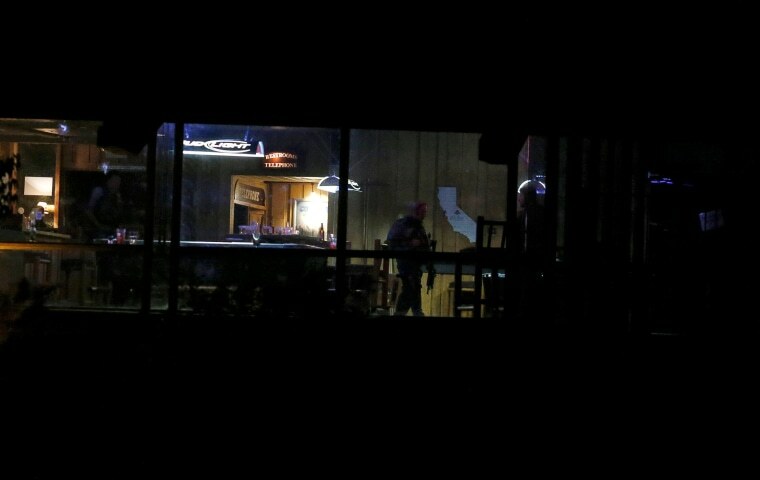 A police officer walks inside the bar. The shooter was found dead at the scene from a gunshot wound. 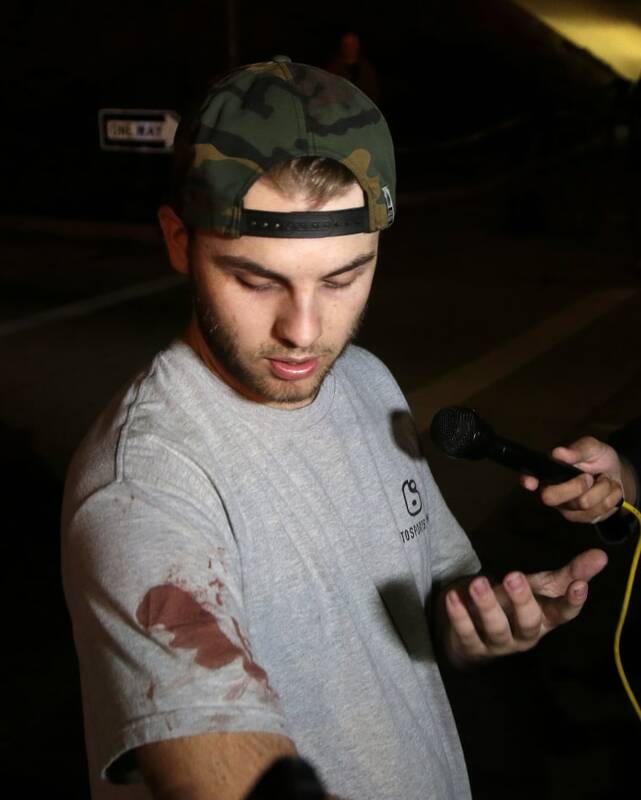 Matt Wennerstorm, who has blood on his shirt, talks to the media outside the scene of the shooting. An FBI agent speaks to a potential witness outside the bar. 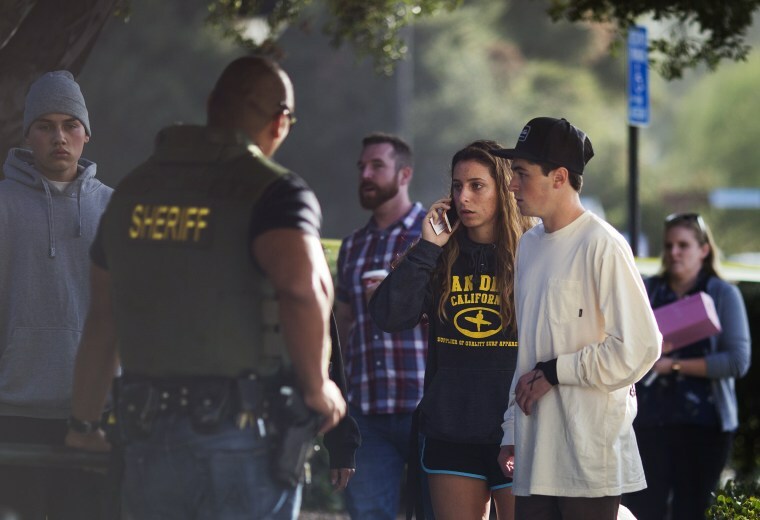 Ventura County Sheriff Geoff Dean described the incident at the Borderline Bar and Grill as a "tragic, tragic situation." 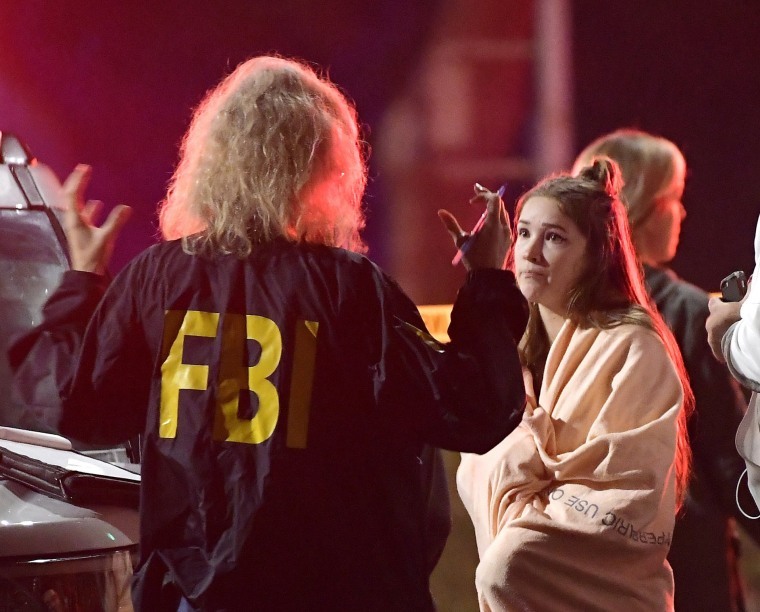 A man holds his head in his hands near the scene of the shooting. 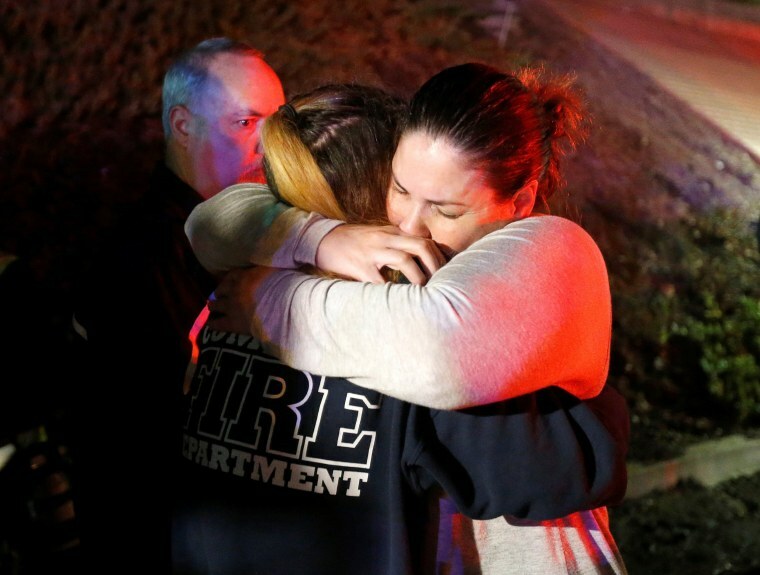 Two women leave the scene of the shooting in Thousand Oaks. 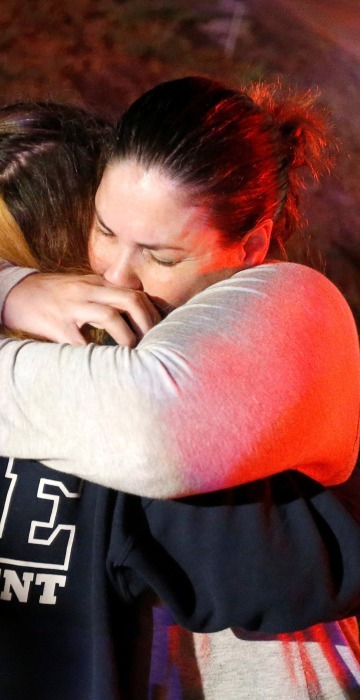 The massacre was the deadliest mass shooting in the U.S. since 17 students and teachers were slain at a Parkland, Florida, high school nine months ago. Teylor Whittler is hugged by her father. 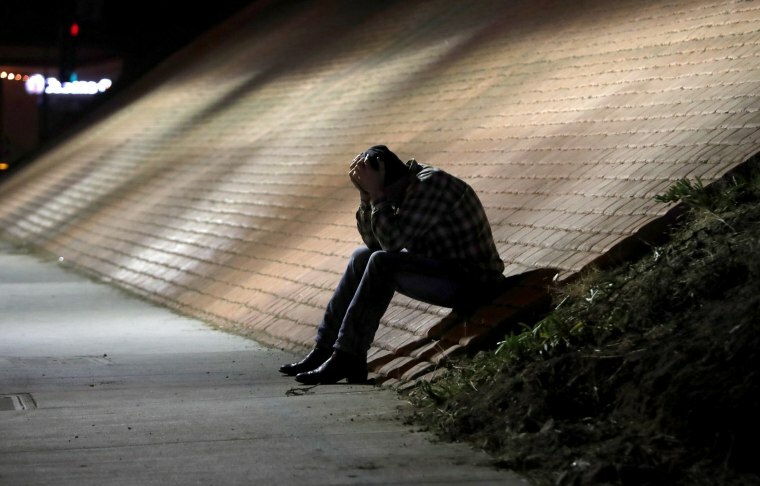 A truck blocks the Highway 101 off-ramp near the scene of the shooting in Thousand Oaks. People arrive at a family assistance and reunification center following the shooting. 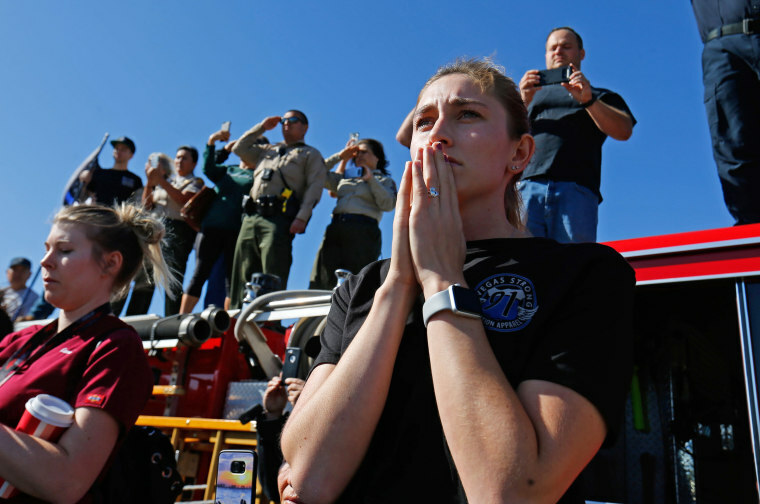 Madison Fuller of Thousand Oaks reacts as she watches the procession for the body of Ventura County Sheriff Sgt. 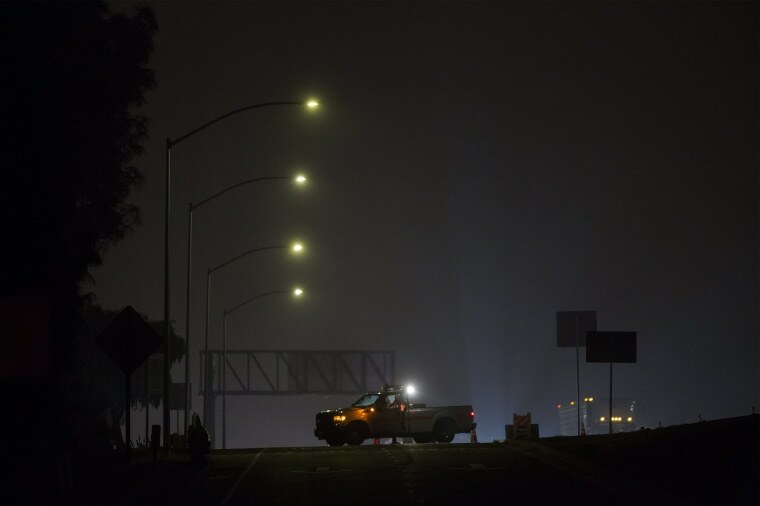 Ron Helus down Highway 101 in Thousand Oaks on Nov. 8. As a 29-year veteran of the department and a member of its SWAT team for several years, Helus was one of the first officers to rush inside the bar to answer the call of an active shooter. 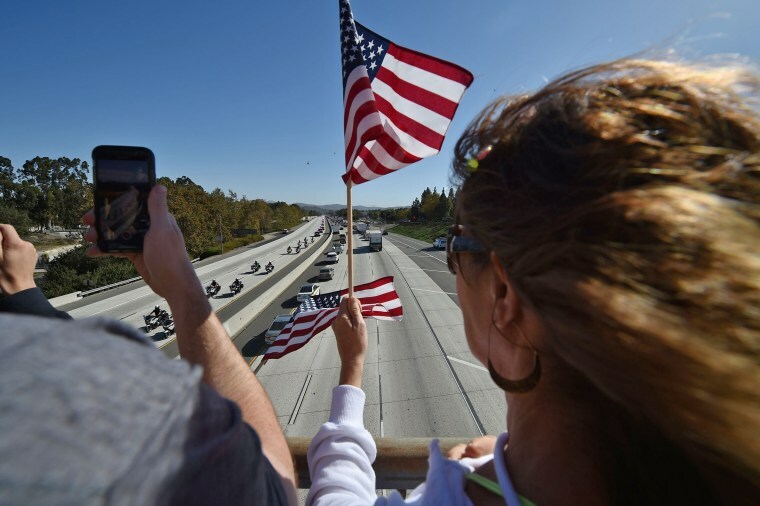 People line an overpass to watch the procession transporting the body of Sheriff's Sgt Ron Helus. 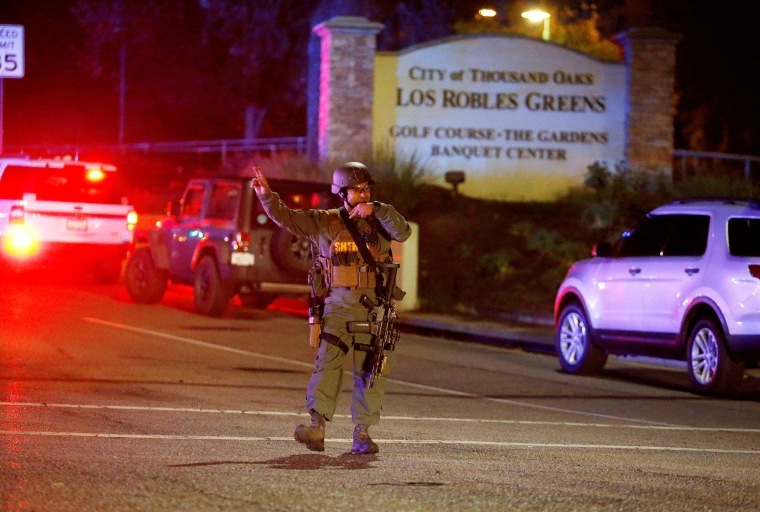 Helus exchanged gunfire amid the chaos, authorities said, and was struck multiple times before another officer dragged him away from the line of fire. He later died at the hospital.